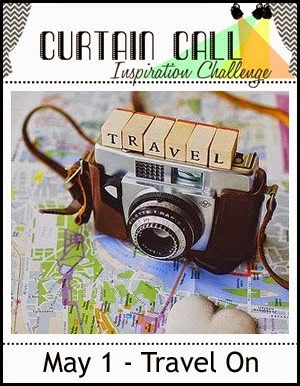 Today, I played along with Curtain Call Challenge to Travel On. I really love the old car stamp from Penny Black and I added some butterfly postage from C.C. 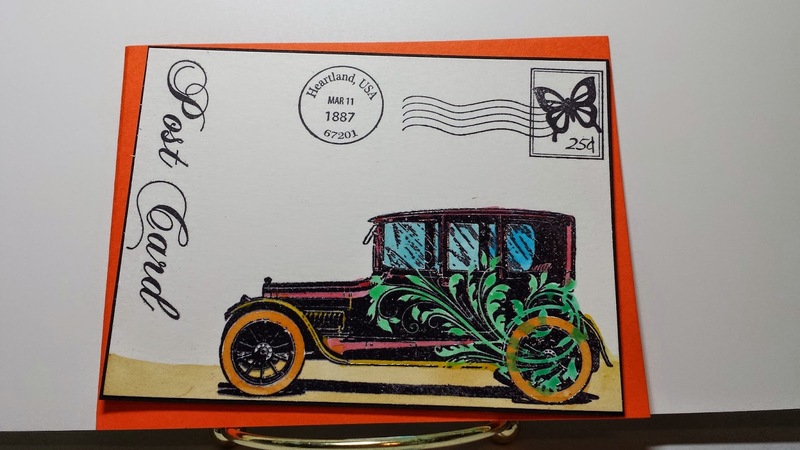 Designs Rubber Stamps. I water colored the image with Gelatos from Faber Castell. Below is the inspiration piece for the challenge. so cool! love how you colored this. thanks for joining us at curtain call.